add a note that data handling has changed considerably since 0.7, and give link to detailed changelog. Recorded data in PyNN is always associated with the Population or Assembly from which it was recorded. Data may either be written to file, using the write_data() method, or retrieved as objects in memory, using get_data(). 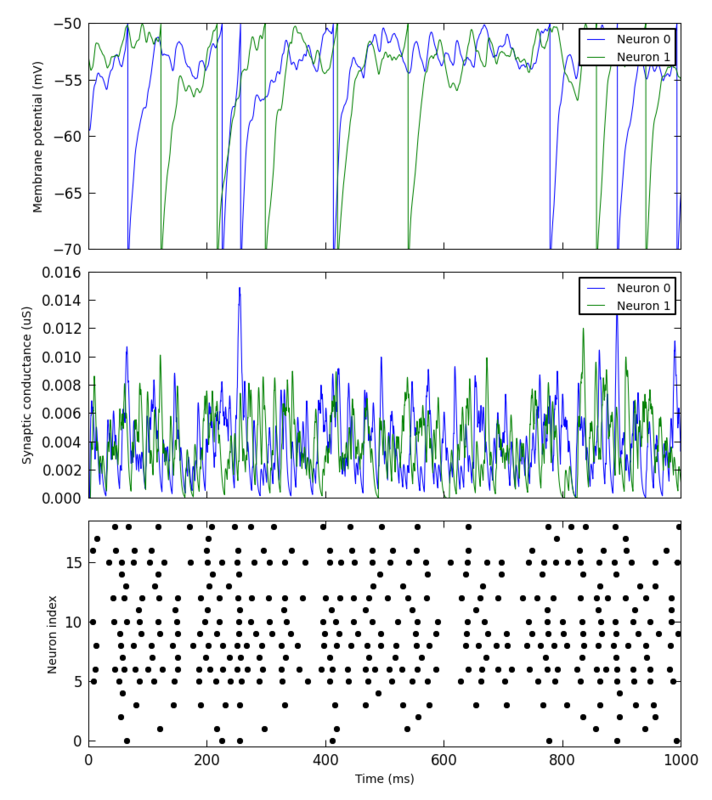 Handling of recorded data in PyNN makes use of the Neo package, which provides a common Python data model for neurophysiology data (whether real or simulated). The get_data() method returns a Neo Block object. This is the top-level data container, which contains one or more Segments. Each Segment is a container for data sharing a common time basis - a new Segment is added every time the reset() function is called. A Segment can contain lists of AnalogSignal and SpikeTrain objects. These data objects inherit from NumPy’s array class, and so can be treated in further processing (analysis, visualization, etc.) in exactly the same way as NumPy arrays, but in addition they carry metadata about units, sampling interval, etc. import pyNN.neuron as sim  # can of course replace `neuron` with `nest`, `brian`, etc. The adoption of Neo as an output representation also makes it easier to handle data when running multiple simulations with the same network, calling reset() between each run. In previous versions of PyNN it was necessary to retrieve the data before every reset(), and take care of storing the resulting data. Now, each run just creates a new Neo Segment, and PyNN takes care of storing the data until it is needed. This is illustrated in the example below. import pyNN.neuron as sim  # can of course replace `nest` with `neuron`, `brian`, etc. 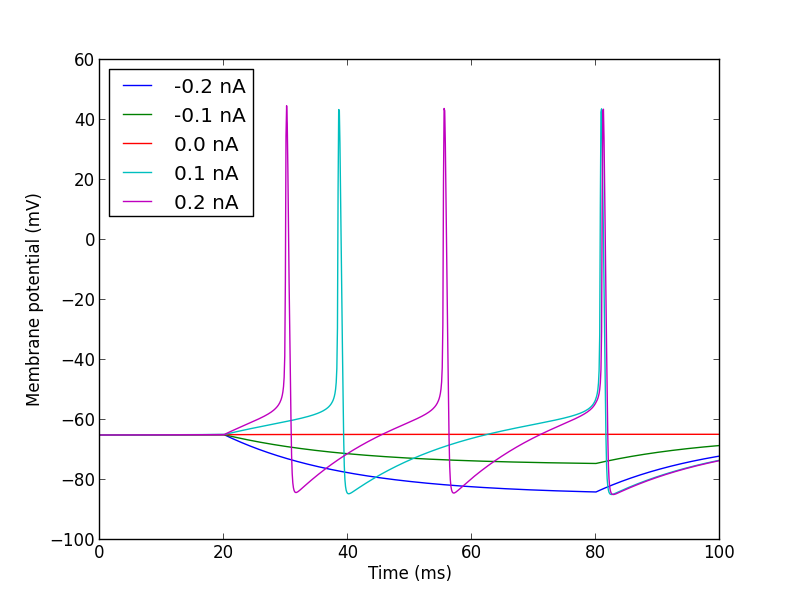 Plotting Neo data with Matplotlib, as shown above, can be rather verbose, with a lot of repetitive boilerplate code. 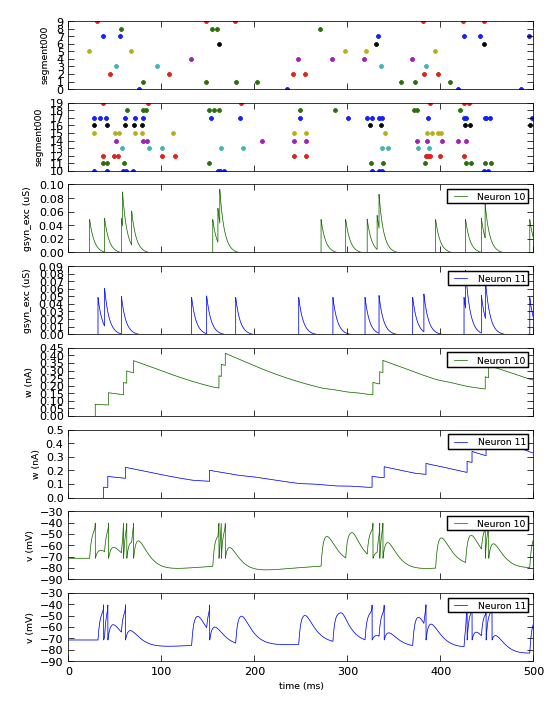 PyNN therefore provides a couple of classes, Figure and Panel, to make quick-and-easy plots of recorded data. It is possible to customize the plots to some extent, but for publication-quality or highly-customized plots you should probably use Matplotlib or some other plotting package directly. A variety of software tools are available for working with Neo-format data, for example SpykeViewer and OpenElectrophy.